This tutorial will show you how to disassemble a canon a540/a530 to the sensor to remove the ir cut filter. 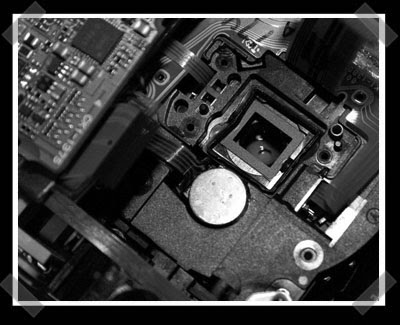 - there is 300 volts or so inside the camera. canon has done a pretty good job shielding those areas, and I haven’t gotten shocked even though my fingers have been everywhere, but be careful anyway. it’s enough energy to kill you several times if you’re unlucky. - you may end up with an ir sensitive camera, or you may end up buying a new camera.